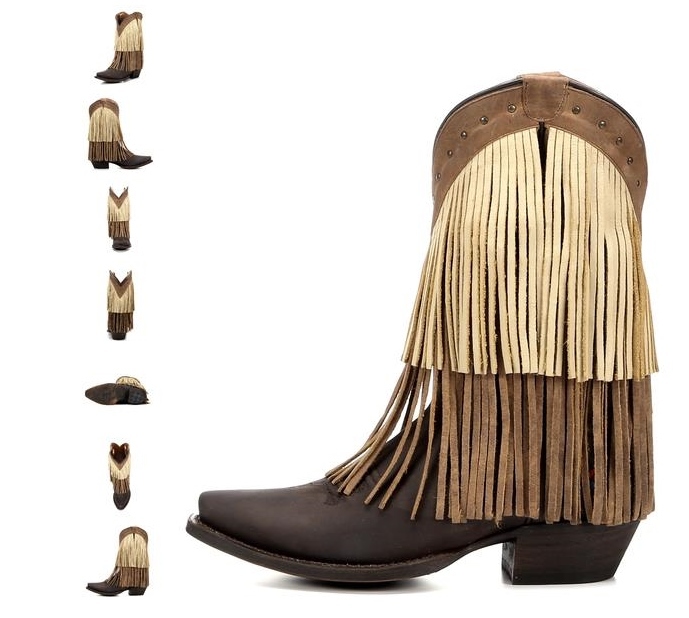 Pull on the Sugar Sand Fringe Boot and get a cowgirl boot packed with style. 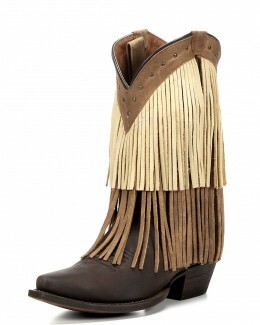 Two layers of long leather fringe cover the crazy horse brown upper and are sure to make waves. This brown boot's collar is punched with brasstone studs, while the toe ends in a sharp-looking snip. 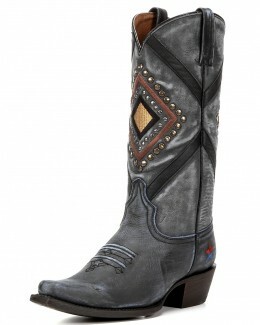 Redneck Riviera by John Rich has created an attractive combo of blingy boot style and western fringe. 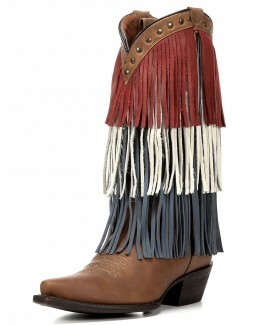 Experience fringe benefits in the Sugar Sand Fringe Boot. 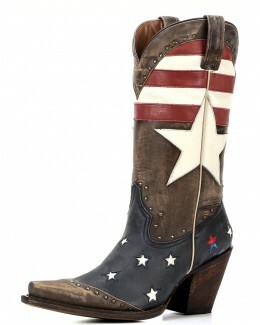 Every Redneck Riviera Cowgirl Boot is handmade by skilled leather craftsmen. The finest leathers are hand-selected with attention to the natural qualities in each hide, so every boot looks and feels great. Each style is stitched with John Rich's Redneck Riviera logo to show your redneck pride. Shaft Height: 10", the toe is a snip toe, with a 1 3/4" heel. It has a cushion insole and leather outsole. The shaft circumference on a size 7 is 13" and the measurement varies by size.